George was kind enough to share the following story about his experience booking a holiday trip online, and it looks like the online service decided to give itself a present. 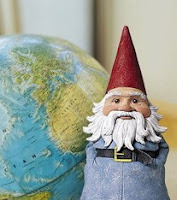 I went to Travelocity and filled in the required fields for the round trip flight for $312.40 for two seniors (my wife and I are visiting her brother for the Christmas holiday). When I went to the bottom of the page and clicked on the "Continue with Flight Only" button a page came up with a dialogue box that said "we're sorry. The price for this trip has changed. . . ." The new price was $392.40. This is classic bait and switch, which is larceny by artifice or device in every state in the union. In my state larcenies carry a five year felony incarceration. I sincerely believe that if the person or persons who built this website, maintain it, or oversee it, are prosecuted as an example, with adequate publicity, then it will stop. Otherwise, they will continue doing it. I have retained the printed pages from the site with all of the foregoing information on it as written documentation of the bait and switch electronic maneuver. While we have no comment or opinion on the potential legality of changing prices in the middle of an online order, but it seems that there could be a more customer friendly way to deal with sudden price changes. The average customer would be happy to see an unexpected price drop, but a sudden price rise might deny any online travel service the most valuable thing of all, a repeat customer. The full integration of Northwest into Delta will take time and will be completed through a thoughtful integration process by mid-year 2010. Right now, customers can continue to book travel on delta.com or nwa.com. Rest assured, Delta is taking a careful approach to the integration to ensure customers have a smooth, seamless flying experience. My husband and I have been Northwest frequent flyers for years and were not too troubled by recent changes until this five plane return trip from Orlando. 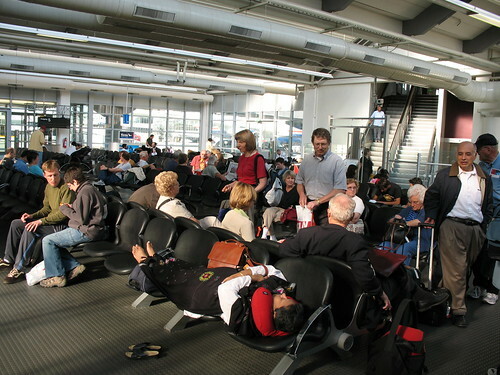 After waiting on the tarmac for some time we were deplaned only to find a line of 150 people, one agent and the Delta representative on at the other end of our phone call saying we must take care of rebooking in person at the airport. I got in a line next to our gate, since it was also Northwest/Delta and it was going to Minneapolis, thinking we could get a flight to our intended destination of Madison, WI with ease. Once I got to the head of that line, the agent informed me that since I got off of a Delta flight I had to have a Delta agent rebook us. My husband was in the line next to mine and his agent said that since we booked with Northwest, we were not automatically rebooked (as were the people who booked with Delta, or Southwest or others). So we were not booked to Minneapolis or Chicago (where flights go to Madison all day long) but we were rerouted through Atlanta, GA. The flight we got on in Atlanta was also deplaned after we sat on the tarmac a while. However, we did catch a later flight to Memphis, TN and then another flight to Madison, WI. We got in long after my fundraising event for a children's charity where i needed to be that evening. So a simple trip to visit our son and daughter-in-law in Orlando, a trip we've made at least twice a year for five years, turned into an all day affair, with NO weather related issues, just human and computer errors and very poor communication and incredibly poor service. It will be a long while before we choose Delta again. the relation between the two airlines is like disputing parents in a messy divorce!